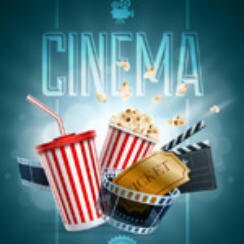 Popcorn Cinema Show takes a look at the weeks movie releases (8th January 2016) for the UK, US, Australia and New Zealand at the cinema, along with their film trailers. Not many new releases this week but we do have a certain Quentin Tarantino back with his western The Hateful Eight which releases on Friday in the UK. Sylvester Stallone says in a interview with variety.com that his days of playing Rambo are now at an end. “The heart’s willing, but the body says, ‘Stay home! You can check out the full interview on their website. Digitalspy.com report that Star Wars writer Lawrence Kasdan has given a few more details on the upcoming Han Solo spin off film. We recommend giving Quentin Tarantino’s The Hateful Eight a look and if you live down under you have The Revenant releasing. So whilst there might not be many films this week at least they are a couple of very good ones.